$7 - $10 per night. 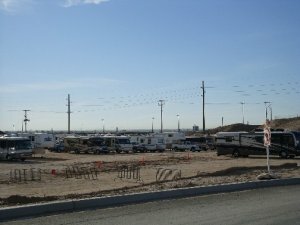 Dirt Truck/RV lot on S side of casino. 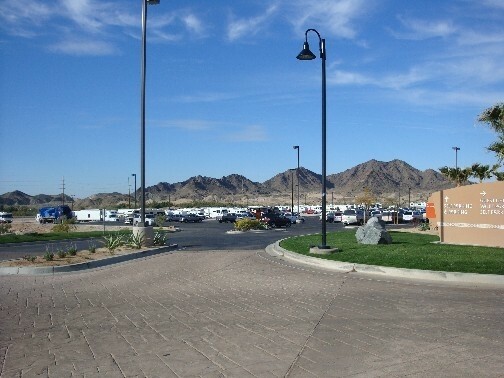 RV parking is in long straight lines designated by casino security on a dirt lot. Overnight RV Parking is OK, for a small fee. Spent 1 night here-on the road. I thought the dirt parking area was nice size. You could park anywhere and there was a separate lot for the trucks so we did not have to listen to their motors at night. There seem to be "ridges" in the ground that marked one space from another so we had plenty of room. 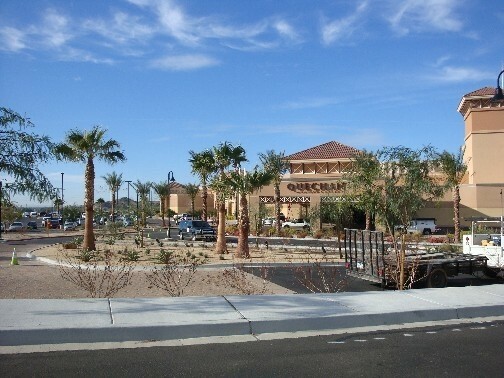 Easy walk across the parking area to the casino. Friendly people. Right off the freeway so it was an easy in and out.... Yes, it was $10.00 for the night but I felt safe and secure.... Appears most of the rigs were people going down to Algodones for the day and back at night. 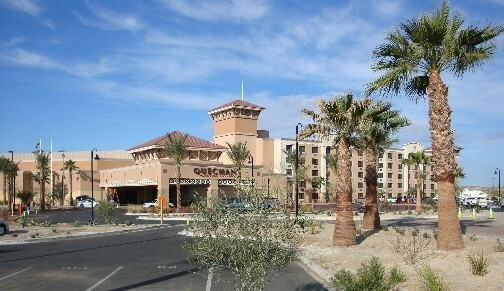 I don't know what it is with the casinos in this (Yuma) area. They simply can not make up their minds -- and it doesn't matter how much you spend in their casino. First they say "Come on in" and the next thing it's "Get the hell out." Stayed here while getting dental work done. Felt safe, minimal noise, access to city bus for border transportation. Very large parking area. Easy access to freeway. Well marked. 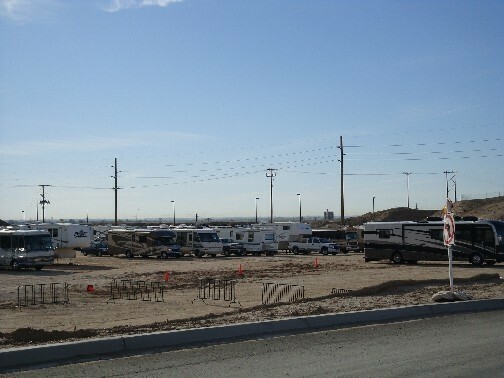 RV lot was extremely crowded and had started taking up the truck parking area. No charge with no stay limit. Many RV's stay there for months during the winter. Close to Mexico for dental and optical care. Casino is nice and food is good.